I decided I'd upload a few pictures of my recent trip to Las Barrancas del Cobre a.k.a The Copper Canyon a.k.a. La Sierra Tarahumara. Call it what you'd like, "a rose by any other name would smell as sweet." In case you didn't already know, I was born in Chihuahua, the capitol of the biggest state in Mexico. When I was younger, we used to visit often, like once or twice a year, and I remember going to La Sierra a few times. Being from the Northern part, I was used to the desert environment and La Sierra offered an escape from said climate conditions. The beautiful landscape and indigenous lifestyle always amazed me, so I figured I'd share the experience with my boyfriend. We stayed in Creel, a popular destination for tourists, and because I was nostalgic, I decided we should all stay in a cabin, like we did back in the day. Although the beds weren't the most comfortable, Hotel Pueblo Viejo was still a cute place to stay in. Plus, they have a large private bar for hotel guests, and friendly service. From there we headed to El Divisadero, which is were you get an extremely beautiful view of the canyon from a cliff ... don't worry, there's a rail to keep you from falling over. Unfortunately, we got there too late and didn't have a chance to check out the Teleférico, or cable cars, that takes you between mountains, providing a bird's eye view of the canyon. So, we settled for some dinner and souvenir shopping. By the way, the souvenirs are all handmade by the indigenous women, and sold by their young children. The next day, we had breakfast in downtown Creel and set out for our next adventure. 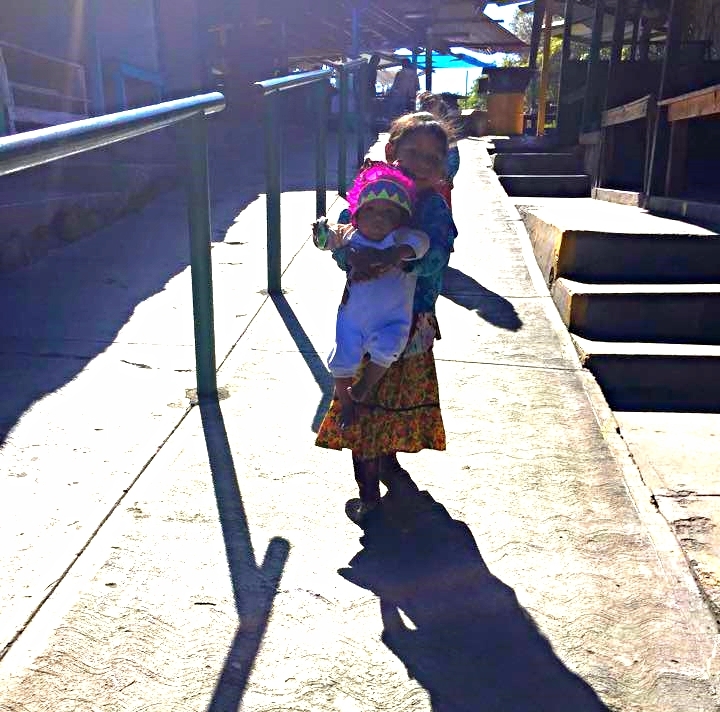 This time, we drove over to San Ignacio de Arareco, a rural Tarahumara community, and explored the valles/valleys. For a very cheap price, you get a map of the different landmarks and access to all of them, including the lake. We drove over to el Valle de los Hongos, Valley of the Mushrooms. The large stones in this area are said to look like giant mushrooms, what do you think? We tried going further up to climb the large stones but my dad was the only successful one ... darn Nike's and their slippery soles. Next, we checked out la Cueva de Sebastían. This is a neat experience because you get to see how the natives live. Some reside in caves, while others live in wooden houses they built themselves. They all work together in their community and look out for one another's safety. After buying MORE souvenirs, we headed to el Valle de los Monjes/Valley of the Monks. We read somewhere that it used to be known as the Valley of the Penes (giggle), but c'mon, these are definitely Monks huddled in conversation. This valley is my favorite because there's so much to explore and climb. Just watch out for the reptiles. We were now ready to hit the lake and paddle boat around it. Except, we missed the sign that said LAGO DE ARARECO --> so we ended up driving through some very scary dirt roads up the mountain. If it hadn't been for the man who told us we were going the wrong way, who knows where we would've ended up. Finally, we made it to the lake. 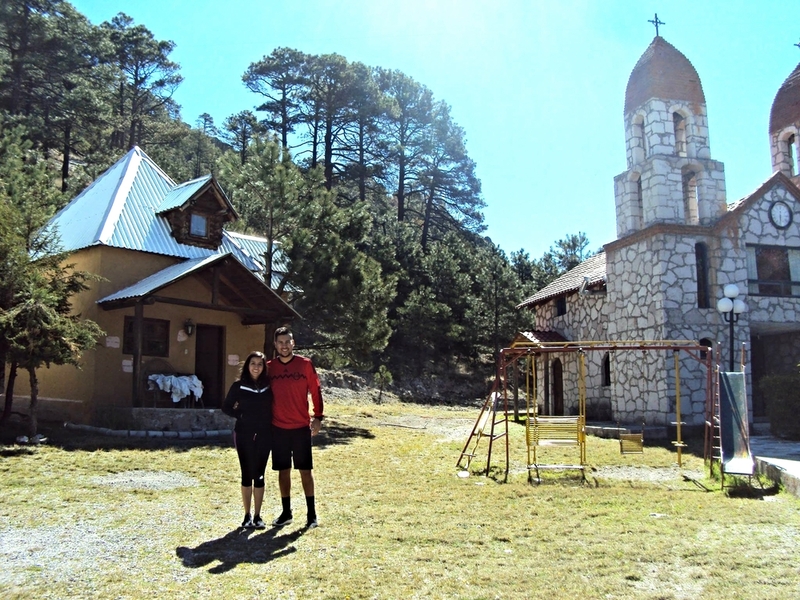 That concludes our trip to La Sierra Tarahumara. I definitely encourage everyone to take the train and check it out, especially if you're a fan of adventures in nature. I myself would love to go back and take a shot at the largest zip line system in the WORLD, or finally visit one of the waterfalls.